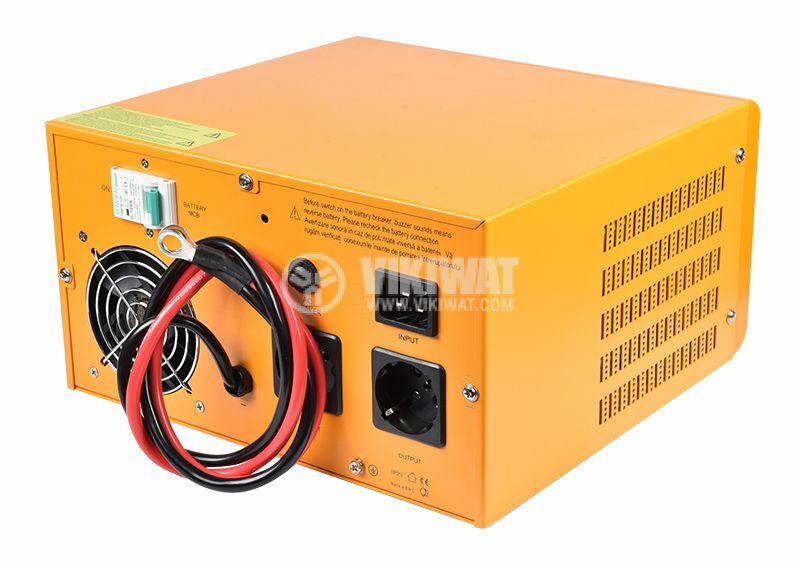 Emergency Power Supply 300W uninterruptible power supply with true sine wave, voltage transformation from 12 VDC to 220 VAC and maximum 300 W output power. 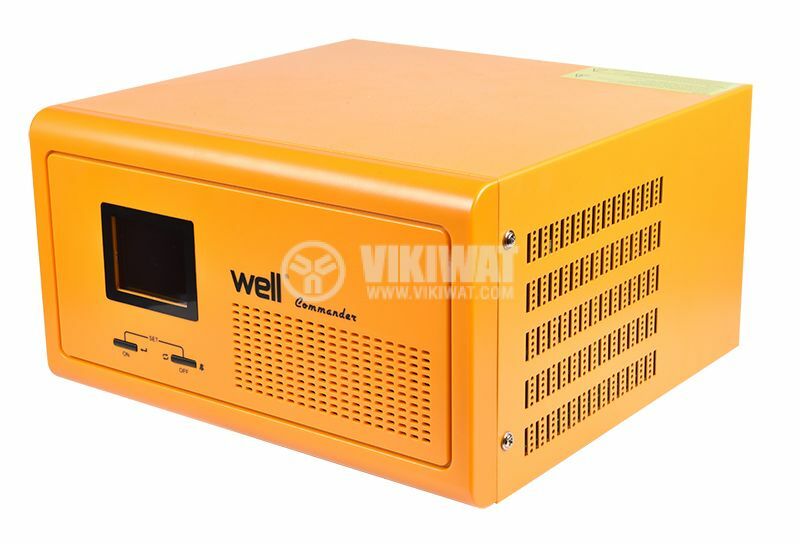 The inverter has battery charging and voltage stabilizer functions. this product is typically used for heating systems, circulation pumps, gas boilers, solar system converters and more. 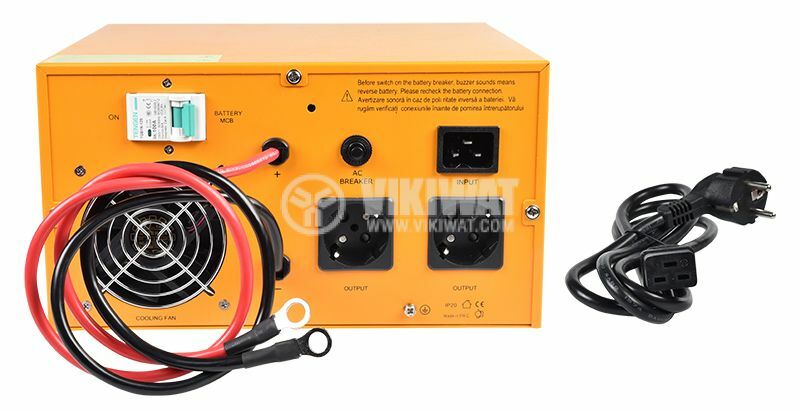 the inverter has battery charging functions as well as a voltage stabilizer. 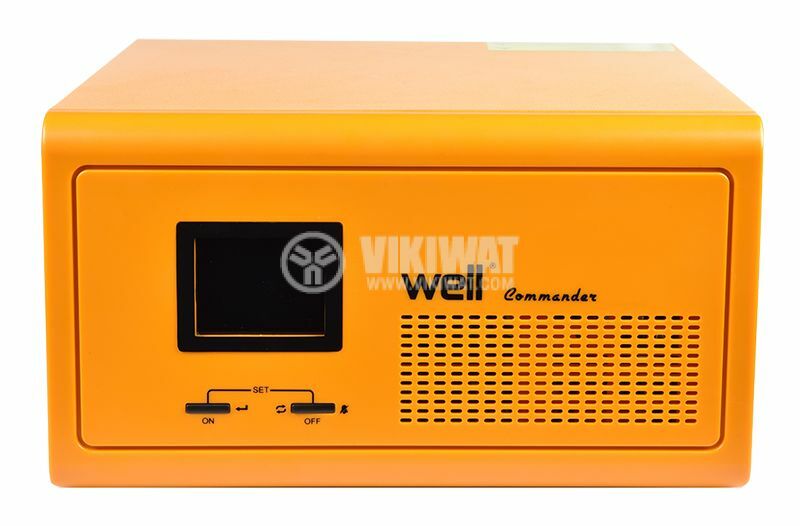 Frequently called a UPS for fireplaces, this device, when disconnected from the mains supply, produces a voltage that ensures the normal operation of the local heating or other power-sensitive appliance. 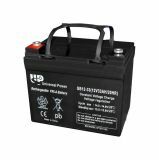 In addition, the UPS automatically recharges the battery when there is a mains supply, and after full charging it enters reserve mode until the next power supply stops. please read the User's Guide before switching on and operating the inverter! dimensions - 293 × 280 × 160 mm (on the case 370 × 355 × 235 mm).